After giving Their Satanic Majesties Request the 50th anniversary reissue treatment last year, the Rolling Stones have now moved on to celebrating the golden anniversary of their 1968 LP, Beggars Banquet. ABKCO Records will release the anniversary reissue on vinyl and CD/digital on November 16, featuring a new remaster by Bob Ludwig. 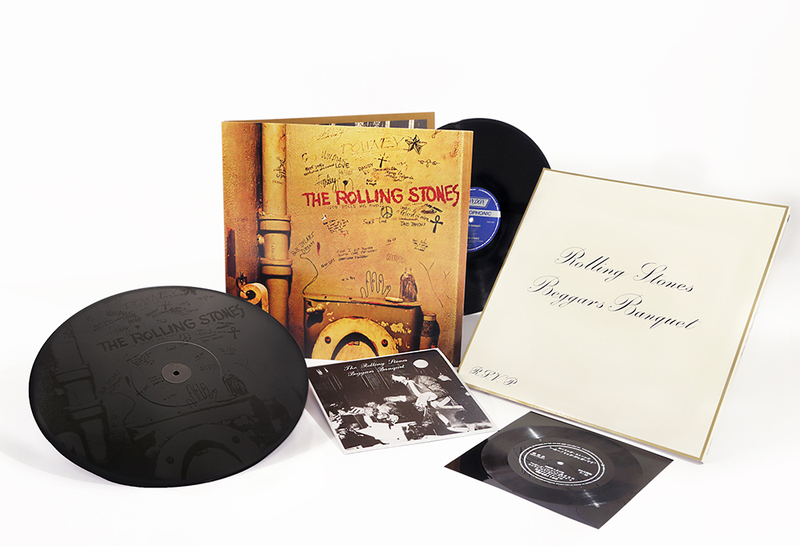 The limited-edition vinyl release features a gatefold jacket, the album on 180-gram stereo vinyl, a bonus 12" "Sympathy For the Devil" single in mono (backed with an etching of the original release's "toilet" cover), and a replica of the Japanese bonus flexi disc featuring a 1968 phone interview with Mick Jagger. Both editions are wrapped in the "RSVP" cover art. Beggars Banquet was the final album released before Brian Jones' death, and the final record completed with the Stones' original lineup. You can pre-order the 50th anniversary reissue on CD and vinyl via MusicVaultz. Find the record's tracklist below.